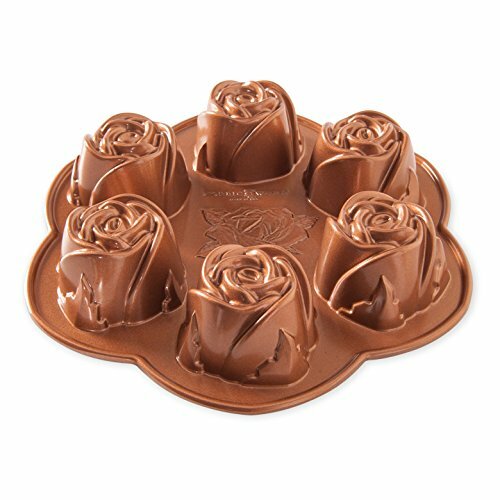 Bake individual sweetheart roses. Smaller pan for easy storage. Our original Cast Aluminum Bakeware provides fine details and superior baking performance. Distinctive premium nonstick interiors allow for quick release and easy cleanup. Heat reflective silver platinum exteriors ensure uniform browning. 2.25 cup capacity.